Gemma is brilliant! Her work, professionalism, and absolutely delightful nature is everything a bride and groom could ask for in a wedding planner. As our guide through the strange process of coordinating a big life event, she was knowledgeable, organized, and was endlessly understanding and kind. I knew from her first email that I wanted to work with her, with the care she had put into her communication. She not only knows how to get the logistical side of things done, but she has a creative and sophisticated eye, and a lovely warm and bubbly personality. Gemma is exactly the kind of person you can trust to make your dreams a reality. 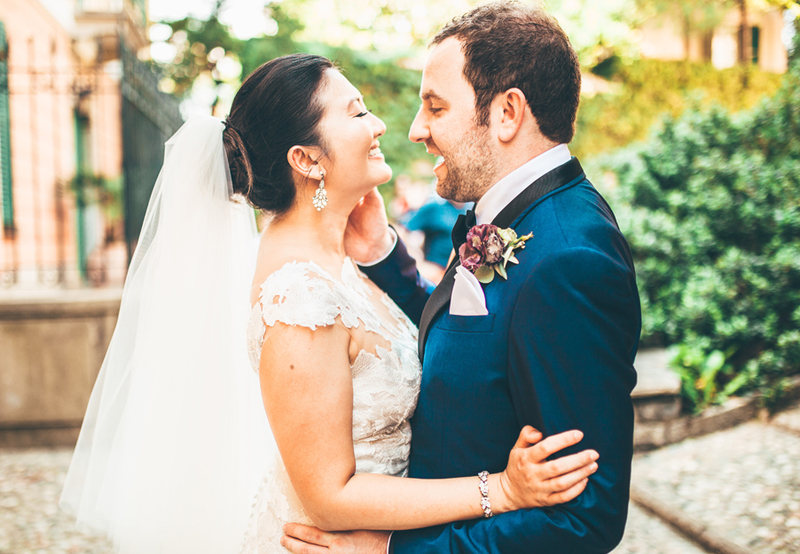 With Gemma at the helm, we felt our Villa Lario Resort wedding went off perfectly. Not only that, but the process leading up to it was stress free and fun, and not overwhelming. As the bride I was asked many times how stressed I was in the lead up and I could only reply with “not at all”. The day after the wedding went off without a hitch, guests asked me, “so, really, was there anything that went wrong yesterday or not according to plan?” Similarly, I could only answer with “nothing!” Gemma knows her stuff. She was able to flawlessly orchestrate a high-stress event, make any backup arrangements, coordinate behind the scenes and get things done without a fuss. She is also a consummate professional. Always ready to relieve any stress, rather than add to it. Always a smile and a laugh, and never a hint of negativity. I cant begin to express how important that was to be as a bride! Our wedding at Villa Lario Resort was exactly what we wanted. We were so thrilled with how everything turned out, and absolutely amazed at how things not only met our expectations, but exceeded them. Thanks to My Lake Como Wedding, Lake Como was even more magical than we could ever have imagined.